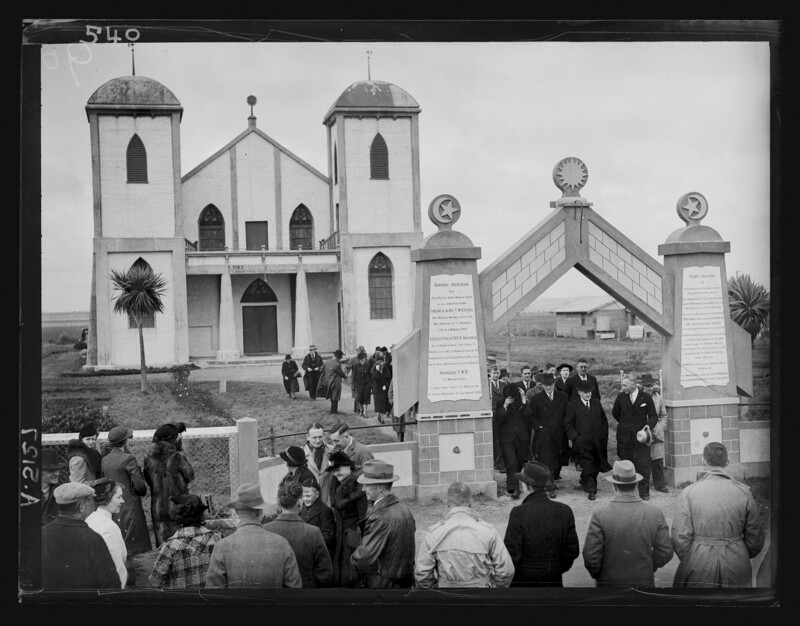 Today (8 November) is the centenary of the Rātana Church. Puawai Cairns, Kaihāpai Mātauranga Māori | Head of Mātauranga Māori, talks about the robes of an āpotoro rēhita from the church – a uniform with which she have a personal affinity. Rātana is a Māori adaptation of the Judeo-Christian tradition. Founded in 1918 by T.W. 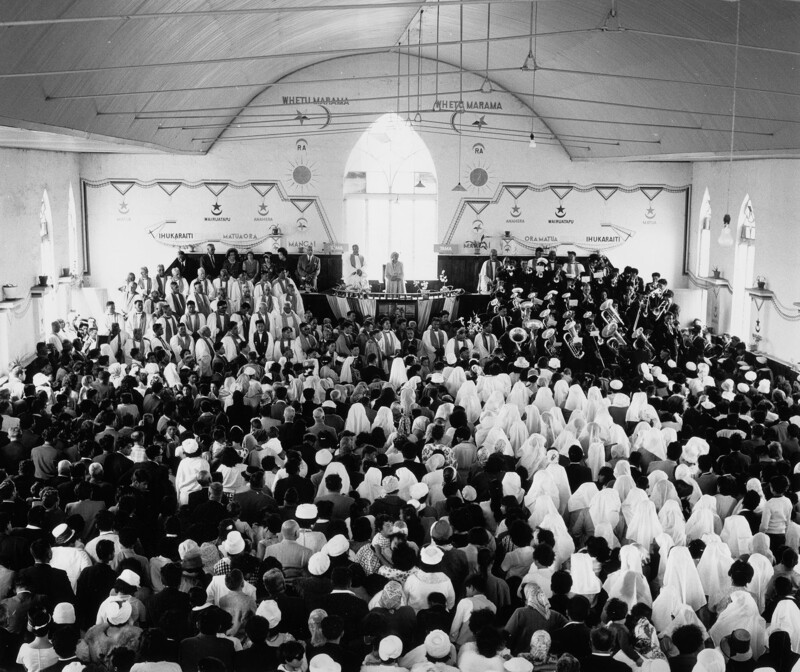 Rātana (1873–1939), Rātana has become a major Māori church in New Zealand with over 45,000 morehu (followers) as at the 2006 census. T.W. 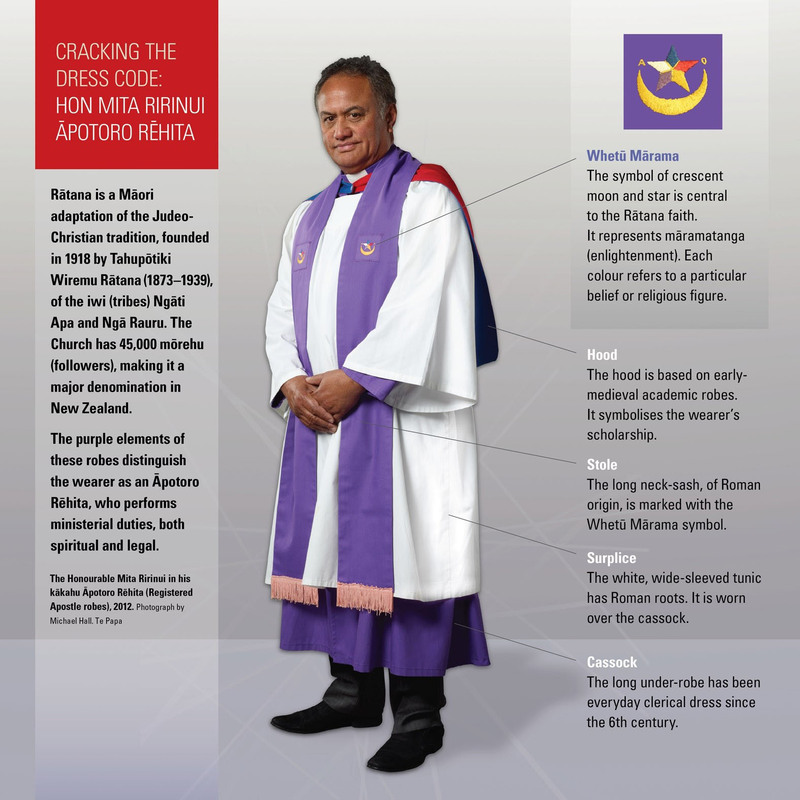 Rātana was raised Presbyterian with Wesleyan influences, so it is highly likely this religious familiarity has influenced the presentation of the Rātana kākahu, which show a distinct and direct correlation to the Protestant ecclesiastical vestments. 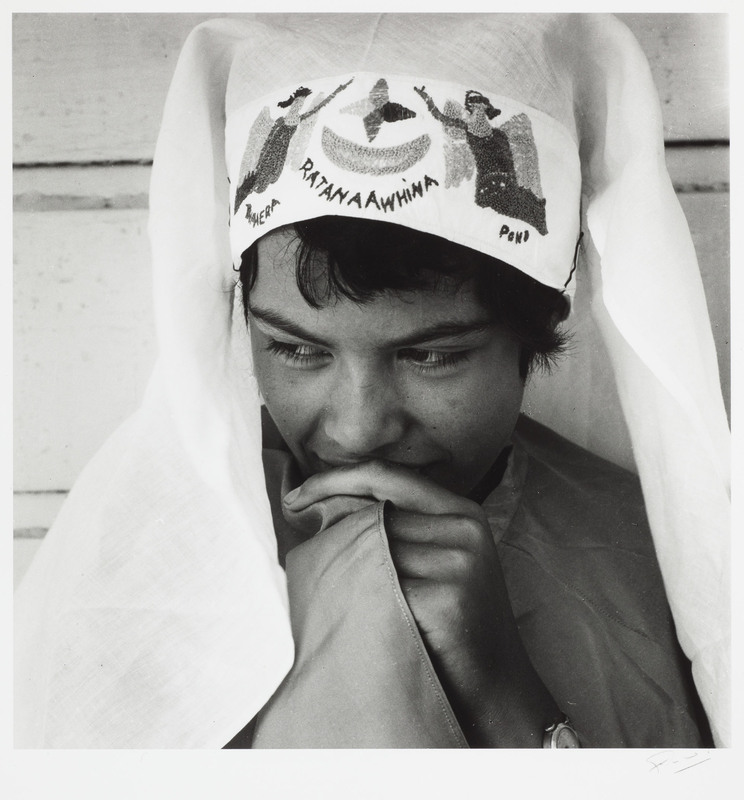 The clothing that symbolised authority within the Protestant faith was adapted as the symbols of authority and leadership in the Rātana faith. 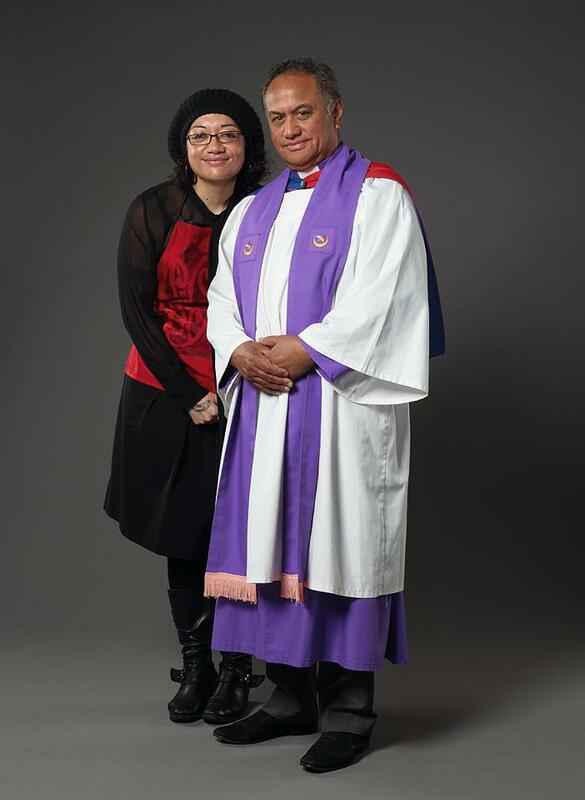 From its establishment to today, the Rātana Church continues its role as an important faith and guide for many Māori across the country, and T.W. Rātana had a major impact on Māori leadership in the 20th century. Five men attend the 60th birthday celebrations of Tahu Potiki Wiremu Ratana. Back row, left to right: P.K. Paikea, T. Omana. 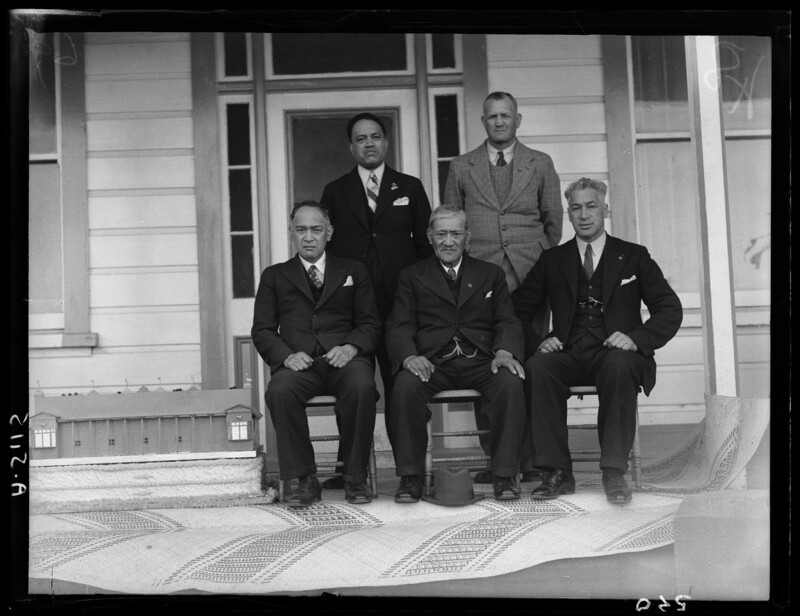 Front row, left to right: H. T. Ratana, Tahu Potiki Wiremu Ratana, E.T. Tirikatene. 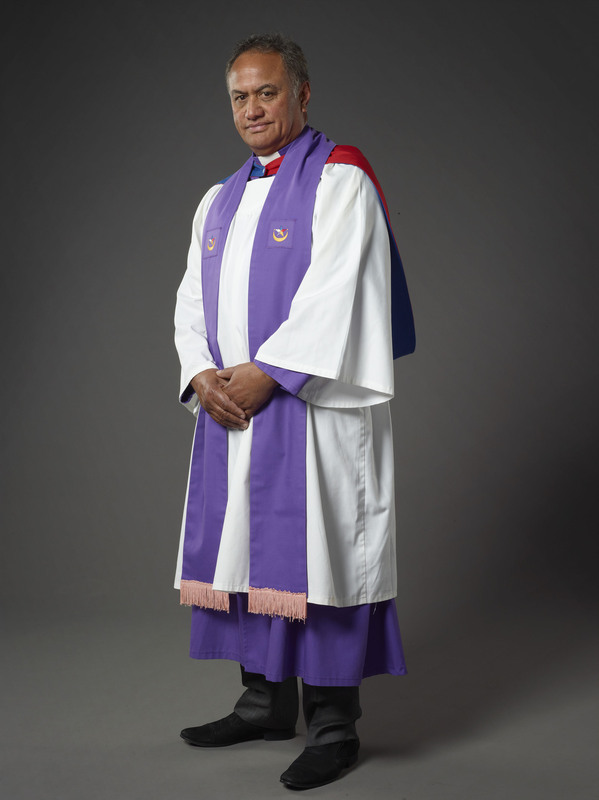 Uniforms are of great importance to the Rātana Church, especially as visual signifiers of the specific roles and duties of the wearer. 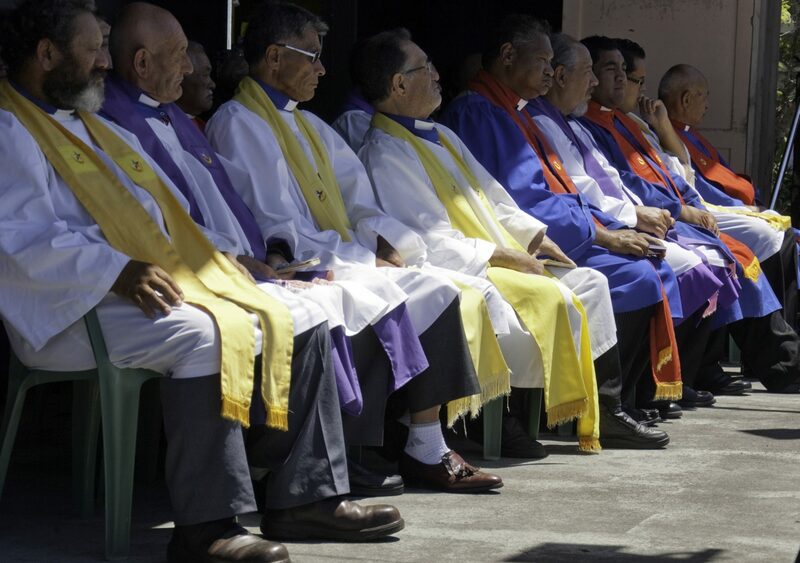 There are three levels of āpotoro – three different ministers/readers – and each of these is identifiable by their various prescribed uniforms. 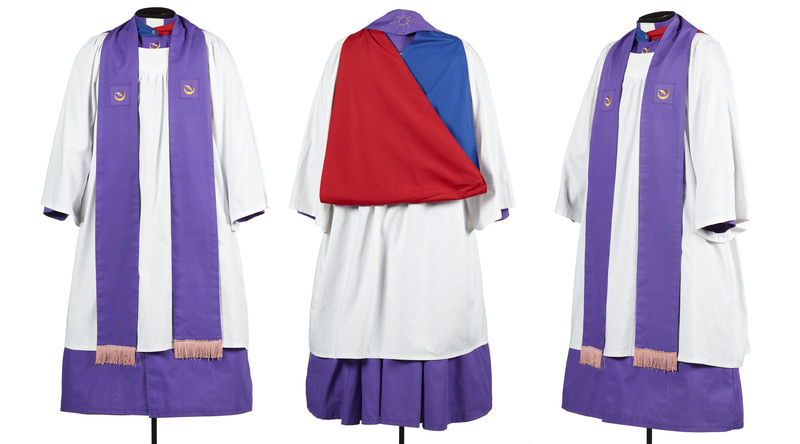 In the image below, you can see three types of minister uniforms. These kākahu were gifted by Honourable Mita Ririnui, a retired Labour MP for the Waiariki District and an āpotoro rēhita in the Rātana Church for the last 25 years. He lives in Tauranga, where he was born and raised, and is of Ngāti Ranginui, Ngāi Te Rangi, and Ngāti Pukenga descent. “I have always been a member of the Rātana Church, my dad was a member of the Rātana Church, my granddad was a member of the Rātana Church so that’s the only religion I have ever known. …. I have always followed the philosophy of the Rātana Church; much of it has been instrumental in my upbringing.” (Mita Ririnui, 14 Jun 2012). Mita became an ākonga at the relatively young age of 27 and just a few years later he was made an āpotoro rēhita. His ascension within the church not only meant a commitment by him as an individual, it also required the commitment of his wider whānau. The āpotoro rēhita robes that he wore as a registered apostle were, in the end, paid for by Mita and his father. The involvement of family in the ordination and robing was significant. To acquire the robes, the pair made a trip to the Rātana pā near Whanganui. Mita was then 30 years old, and still continues to practice today as an āpotoro rēhita. On a slightly more personal note, while I was brought up Katorika (Catholic), I was also raised alongside many of my extended family and members of my tribes who belonged to the Rātana Church. Indeed, three of my grandparents were raised Rātana (until my maternal grandmother converted to Catholicism after marrying my grandfather). So the Rātana Church had a very strong presence in my childhood and I’ve always loved the colours and sounds of Rātana – their striking purple uniforms, hymns, the thunder and lament of the Rātana Brass Bands (otherwise called the Reo), and the solemnity of the spiritual āpotoro. And in this, there were memories of watching uncles who were āpotoro, dress in their āpotoro robes, in readiness for whakamoemiti (prayer service). There was a tangible sense of transformation and reflection as they dressed. In that short small and informal ritual of donning their robes over their everyday clothes they stopped being our uncles, and became spiritual leaders. I wanted to duplicate this process somehow in the Uniformity exhibition (27 Sep 2012 – 28 Jul 2013). When I explained this to the exhibition team and to Mita, they were in full support. And with huge amount of gratitude to the generosity of Mita, we were able to film the following clip here in our studio at Te Papa. We filmed his dressing process in the morning, and in the afternoon, I interviewed him about his life in the church and as an āpotoro. 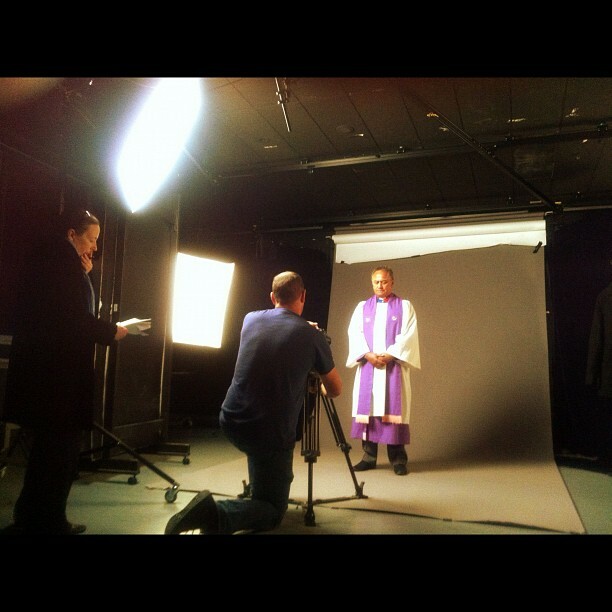 The result of the filming was the following short video, in which Mita recounts the significance of the robes and their coded meaning, as he dons the garb in front of the camera. I’m always interested in hearing and seeing your own memories of churches in your life. Please feel free to share images or stories, either of the Rātana Church or of any other denomination. Thank you to Mita Ririnui for his generosity in contributing to the Uniformity exhibition and sharing his personal stories with Te Papa. Thank you also to Te Herekiekie Herewini, for peer reviewing this article. A version of this blog post was first published in 2013. Ngā mihi ki a koutou mo tēnei whakamārama mai o ngā kākahu hei mau e ngā Āpotoro. Kei te ako mātou ngā kaiako me ngā tauira, tamariki o te Kura a rohe o Te Karaka. Kei te tiro atu ki ngā haahi, whakapono a Ngāi Māori. Nā reira, mihinui, mihi māhaki ki te Āpotoro a Pāpa Mita Ririnui. 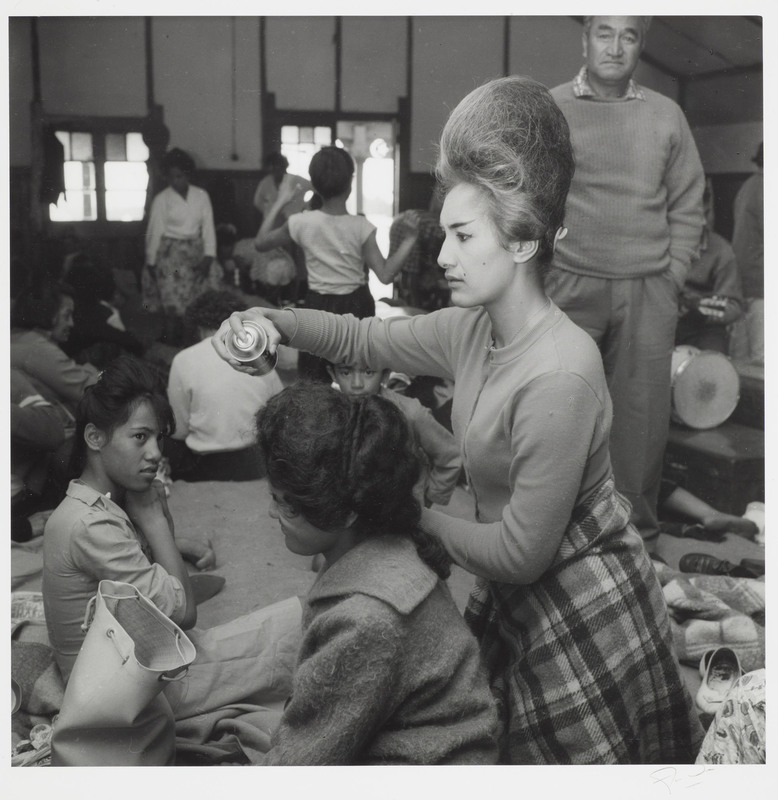 Mihi atu kia koutou whanau mo tenei korero ki runga o matou hahi. I am an Apotoro Wairua with Orakei Pariha in Auckland. In 2009 I returned home from serving in the Middle East, I asked my aunty to take me to whakamoemiti. It was then after being there that I decided I wanted to become an Apotoro. In 2009 I became an Akonga and in 2011 an Apotoro Wairua. Something Im very proud of. And learning my role and responsibilities under Apotoro Rehita TakutaiI Moana Wikiriwhi (Uncle Doc) and Apotoro Rehita Anaru Mahia. Mauriora whanau. thankyou, awesome. would love to see more photographs of the apotoro wairua and the akonga.. from the different pariha throughout aotearoa.. just a thought. keep up the good work.